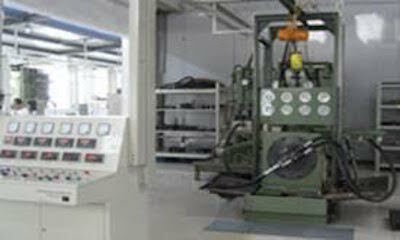 Call Us for Your Repair on Difficult to Locate Komatsu Excavator Hydraulic Pump Repair. Komatsu Excavator Hydraulic Pump Repair Center is a Komatsu Excavator Hydraulic Pump one stop shopping for all Komatsu Excavator Hydraulic Pumps. We offer Komatsu Excavator Pumps and Komatsu Track Hoe Hydraulic Pump Repair, Komatsu Excavator Hydraulic Pump Exchange, New Komatsu Excavator Hydraulic Pumps and We Sell Komatsu Excavator Hydraulic Parts for Komatsu Excavator Hydraulic Pump Repair. 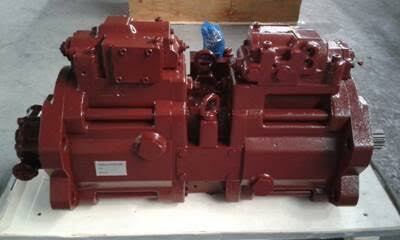 We offer Repair for all Komatsu Excavator Hydraulic Motors. Komatsu Excavator Hydraulic Pump Repair Center and Komatsu Track Hoe Hydraulic Pump Repair Center offer Komatsu excavator pumps. We also sell Hydraulic Parts for Komatsu Excavators or Komatsu Track Hoes. 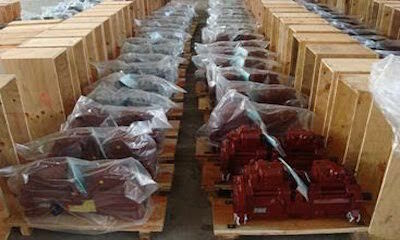 We offer Repair for Komatsu Excavator Hydraulic Motors, Excavator Hydraulic Motors, Komatsu Tandem Excavator Hydraulic Drives, Komatsu Excavator Hydraulic Pump Components, All Komatsu Excavator Hydraulic Pump and Komatsu Track Hoe Hydraulic Equipment and all foreign Komatsu hydraulic pumps, Komatsu Excavator Hydraulic Pumps. Komatsu Excavator Hydraulic Pumps are designed and engineered for peak hydraulic performance. Each Komatsu excavator hydraulic pump is designed to deliver Komatsu excavator hydraulic pump pressure at a fingertip, joystick application. Komatsu, has developed a Komatsu excavator hydraulic pump that can create a positive bottom line for your company when using the Komatsu excavator hydraulic pump system in your excavator. If there is a failure in your excavator hydraulic pump system, your hydraulic pump can easily be replaced with a new Komatsu excavator hydraulic pump or your Komatsu excavator hydraulic pump can be repaired with new Komatsu excavator hydraulic pump parts. We also offer an exchange program where you send your failed Komatsu excavator hydraulic pump core in, and we can send you a new or remanufactured Komatsu excavator hydraulic pump. All of our Komatsu excavator hydraulic pumps carry a one year warranty and offer a full money back guarantee. We usually can ship your Komatsu excavator hydraulic pump in three days or so. Komatsu excavator hydraulic pumps are designed to last a lengthy period of time when paired with the proper maintenance. We exchange Komatsu Excavator Hydraulic Pumps and we offer an option to save cash, an economic solution to purchasing OEM parts. 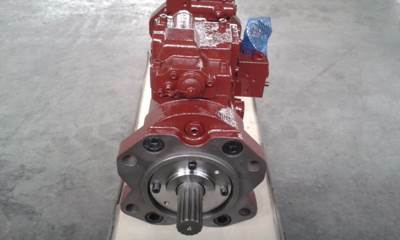 Our remanufactured Komatsu Excavator Hydraulic Pumps and Komatsu Hydraulic Excavator Pumps are rebuilt using new internal Excavator Hydraulic Pump Parts and Hydraulic Excavator Pump Parts. © 2016 Hydrostatic Transmission Service, LLC.